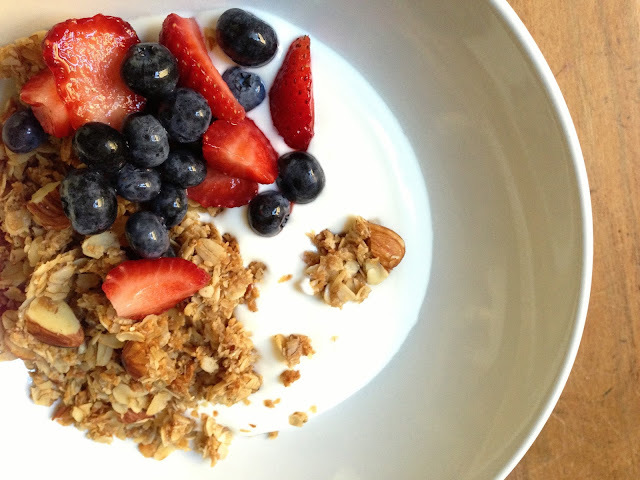 Here is the recipe for our favorite granola. Its an adaptation of a recipe I found many years ago. But we've tweaked it till we can tweak it no more. Put dry ingredients in a large bowl, and stir them up. In a small saucepan, melt coconut oil, honey, and maple syrup on medium low heat until smooth. Turn the heat off, and add extracts. Pour liquid into dry ingredients, and mix very well. Pour granola mixture onto a cookie sheet lined with parchment paper. Bake at 300 degrees for 40 minutes. Tossing a bit after 20 minutes. Remove from oven and let cool completely to form crunchy clusters. ( our favorite ). Serve over plain yogurt, or your favorite milk. Its been so long, I feel the need to reintroduce myself. Just kidding. If you are reading this you know who I am already. We did a lot of things since I last checked in. So I'll have to bring you up to speed as the need arises. But for now, I want to take the time to make a meal plan. Cause its time.